Wrath of Khan OP, 130 pts. 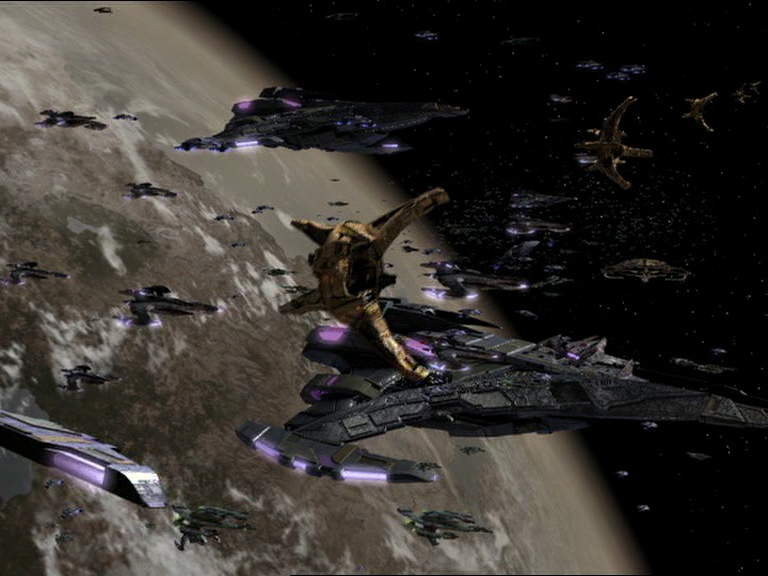 1st game vs a mixed fleet consisting of the Scimitar, a Bioship and Federation attack fighters. Very close game that went all the way down to the wire, in the end pulled off a win by the smallest of margins, only one set of attack fighters from either side surviving. Word best used to describe it: Scrappy. Thoroughly entertaining game. 2nd game vs a pure Romulan fleet, Scimitar, Vrax and Haakona. This game played out as I hoped it would. My strategy was to stay out of the nebula for a first pass and then to pull in to chase down whoever survived. My opponent choose to fly straight at me, outside the nebula. Thanks to the combination of Corak, flanking attack, Remata'Klan and the Battleship's ability managed to get an immense attack off with the Cruiser at range 1 on the Scimitar - one shot and it was off the board. The Battleship smashed the Vrax and from then on it was just a hunt through the nebula - in fairness to my opponent he kept going for it but just couldn't overcome the initial shock of losing the Scimitar. 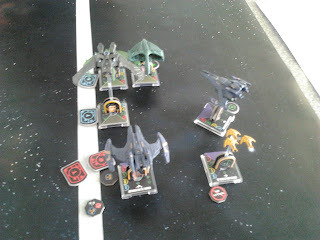 3rd game: Vs Borg Sphere (Picard), Regent's Flagship, one Federation attack fighter and one Dominion Attack Fighter. I went for the same tactic as before, and my opponent (who had won both of his matches as well) flew the Regent's flagship and the attack fighters straight into the nebula, the Sphere came right at me. 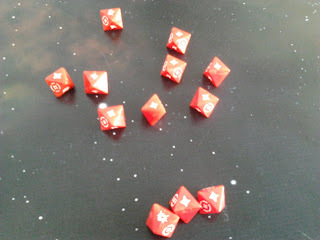 First round of firing, 11 dice attack on the Sphere, took it down to around 4-5 HP remaining. Finished it off with the Battleship in the same round (after taking a bit of a hit back). Then spent the rest of the game trying to get rid of the attack fighters which I eventually did. Ended up losing the Cruiser to the Regent's Flagship outside the nebula with a few turns left to go, just kept the Battleship and the Hideki out of range until time ran out. 1 HP left on the Battleship so my opponent both hated and admired my manouvering. So, to sum up, got first place in my first ever OP which I was really chuffed with. I have to say that every person who I played against was fantastic - everyone had a really good day and there was no animosity or hassle which can happen at some tourneys. 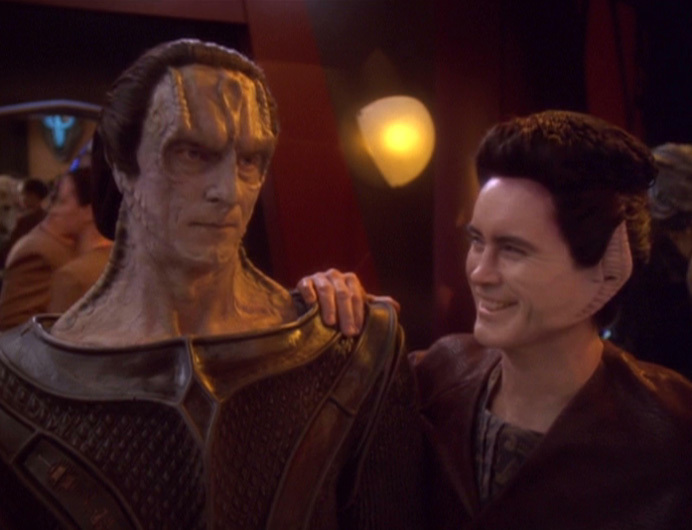 The OP itself was very thematic and really gave the feeling of fighting in the Mutara Nebula. Know your enemy. I think the only reason I won two of those games was purely because neither of my opponents had played against a Dominion fleet before and were not aware of the alpha strike you can build up. Without a doubt the Cruiser combo was utterly devastating. Attack fighters are a pain. Playing against multiple attack fighters is very difficult. Thankfully they were the basic variety, not the named one. It was an uphill battle the entire 3rd game to get rid of them. I went to this OP fully expecting to get blown out of the stars in every game. I'm still in a bit of shock that I actually won the event and honestly everyone there was so supportive and friendly I cannot stress enough how positive an experience it was. Truly the best event I've ever been involved in, in every way.